Although some my choose to turn down an unknown road to see where it leads – most of us would prefer to predetermine a destination and plug in our GPS. There are those who would state that the best way to get ahead is to take a chance on the unknown I tend to be a bit more pragmatic, I prefer to chart out a course and bring along a map. Your career in the kitchen could be left up to chance or you might find it a bit more practical to have an idea of where you would like to end up and establish a clear cut path towards that goal. If you are this type of pragmatic individual then you might find this list helpful. Keep in mind that even the most daring chefs like Ferran Adria and Grant Achatz will probably use Google Maps more often than not. Leaving your career to chance is not a strategy – it is similar to buying a lottery ticket and banking on that as your retirement. Every cook with a plan for his or her future should be thinking 5-10 years out. Where do you want to be at that point in time? What type of position, style of restaurant, geographic area, cuisine, salary, would float your boat. Your plan should have some end game in mind and then a step-by-step process for getting there. What skills will you need, how should your resume look, and who should be in your network? Broaden your experiences and you will enhance your career opportunities. Invest in yourself and travel in an effort to learn about other cultures, other cuisines, how different cooks and chefs handle the ingredients at their disposal, and discover how flavor profiles make those cuisines unique. One of the great mistakes of chefs and restaurants is trying to be something that you are not. There is a reason why people who have been raised within a specific culture prepare the best ethnic food. It is certainly possible for a chef to cook outside of his or her ethnicity, but typically only when he or she becomes immersed in that culture and its methods of food preparation. Look to Rick Bayless as a perfect example – his ability to demonstrate authentic Mexican flavors stems from his commitment to the people of Mexico and their way of life. The best cooks work at it – all the time. Any opportunity to try new ingredients, eat other cook’s food, try that new authentic restaurant, or study the reasons why certain foods are prepared and seasoned in a particular manner is at the forefront of a serious cooks method of operation. Build your flavor memory. The right places to work are the ones where a cook can learn the most and contribute to progress with his or her career plan. Your career track will be influenced by these choices even if those choices may not help your personal finances at the time. Yes – cooks and chefs need to be avid readers. Read about food, ingredients, styles of cooking, methods of operation, styles of leadership, restaurant finances, ways to increase sales and control costs, wine, beer, and distilled beverages, and even history, art, and music. Everything contributes to your personal growth and enhancement of your brand. Really learn about these essential components of cooking and dining. Your approach towards learning about food must include understanding the source and the process used in bringing those ingredients to your kitchen. Learning about wine must include understanding terroir, grape varieties, blending, wine characteristics, pairing with food, vintage, flavor points, and how to serve this most spectacular beverage. Invest some time in working with the greats, the change agents, the protectors of the classics, the great leaders, the restaurateurs, the tyrants and the compassionate mentors, the business savvy chefs, the ones with strong philosophies about food, and the ones who are able to design home run menus. Learn what you can from whomever you may have access to – be a sponge and grow your brand, enhance your value. Where there is a need – be there. 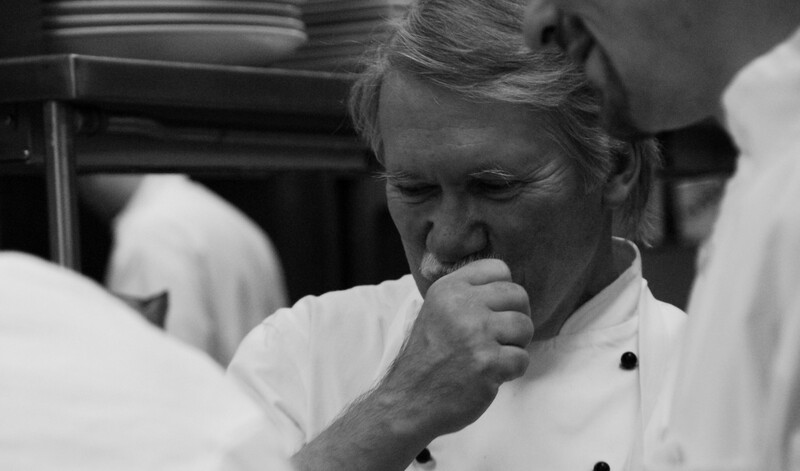 The best chefs are tough taskmasters but also are compassionate supporters of worthy causes. Don’t do this just for exposure, but do it because that is what caring people do. Identify those people who you admire, the leaders who are in control, the ones who stay true to what is important, the chefs or restaurateurs who understand how to balance principle and profit, the ones who are willing and able to offer advice, honestly critique your work, and push you in the right direction. Don’t lose sight of the carrot. Remember – everything you do will impact on your career. Every step that you take will set the stage for reaching your goals. Everything you do will either build your brand or subtract from your value. Those of us in the restaurant business talk about our work ethic with pride. Farmers are in another league all together. Just as cooks take pride in what they make, farmers have a deep seeded pride in how they care for the soil, care for their crops, and harvest and prepare them for cooks to do their magic. Unless a cook fully appreciates the care and love that is put into the farmer’s work it would be hard to understand that a kitchen must be a haven for the protection of and care of those ingredients during the cooking process. Spend a day on the farm and feel what it is like to nurture those ingredients. One of the most dangerous jobs around is commercial fishing. Spend a day in a five ton lobster boat, pulling up traps while traversing through 4-foot swells in the pouring rain, and 30 mile per hour wind gusts, try to keep your stomach from flipping upside down, and come back to shore after spending 8-10 hours trying to bring in enough to make the trip worth your while. Now take that understanding back to the kitchen when your delivery of fish and shellfish arrives packed in ice. Our guest love their steaks, that line cook working the grill has mastered degrees of doneness and how to perfectly caramelize the exterior of that USDA prime strip, and the expeditor knows just how to time order/calls, but do any of those kitchen team members really understand the product? Every serious cook should visit a cattle ranch and watch the cowboy herd cattle and move them from pasture to pasture. Witness the birthing cycle and be there to support ranchers bring that new herd into the world. Visit the feed yard where cattle will gain a couple pounds every day under the guidance of pen riders and the veterinarian until they are certified healthy and reach their ideal weight. Finally, visit a processing plant and watch the most prolific meat cutters, the total commitment to food safety and cleanliness, the grading process, and even the time when cattle give their lives so that we can enjoy that steak. Once a cook has been part of this process he or she will truly understand what it means to cook that steak and do so with respect. A cook is at his or her best when time is spent with others who are serious about their craft. The best will always inspire others to up their game. Over time there will be things about food and the kitchen that become extremely important to you. It might be classic technique, professionalism, using ingredients that come from sustainable sources, or even treating those people with whom you work with respect. Whatever becomes important to you will define who you are as a chef in the future. Identify those characteristics and stay true to them. No excuses – excellence is a habit, not a goal. If you believe in excellence then practice it always, with everything that you do, and expect nothing less from those people who may work for you in the future. Don’t wait for others to identify areas where you might improve – always look at your work as something that could be done better. Identify how the work can be better and invest the time to move forward. It will take time, but if you have a plan and work the plan then you WILL achieve what you set out to do. Stay the course, be patient, be resilient, be true, and become the kind of chef that you expected from day one.